I had this phone long time ago. I loved it. I recorded a lot of music and funny noises with it. It was my first phone with MP3 and MP4. I had it in 2008 and 2009. The only reason I sold this phone because of Sony's proprietary connectors and memory card. They should have stayed with standard 3.5mm socket, microSD, standard power connectors at that time. The sound quality was absolutely fantastic. So sad phones like this don't come anymore. AnonD-652118, 12 Mar 2017Because the love of a dad to his only son(me) he gifted me this phone. What a memories back i... moreI still have mine. I bought in 2008 but it works. The battery lasts up to 6 hours. Very useful when I ride bicycle using it. Because the love of a dad to his only son(me) he gifted me this phone. What a memories back in 2008. Tq dad i love u. Superb phone, they don't make phones like this anymore. 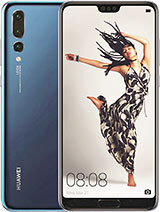 Amazing phone for music lovers. Hear violin , classical instrumental music. Rich pure bass technology. Still using from 2008. But some spare is not available like hpm64 headset and charging port. Sony walkman finish with excellent style. I still have this phone. How can I use it with Koodo? It's with Rogers. This phone is the better than most smartphones today. Quality mega base sound and many applications. i am Using this mobile from 2007 and until now 2016. but now i need Original battery if any one know plz tell me how i get original battery. Great design, great features. If it wasn't for the proprietary memory card and connector I wouldn't have sold it. It is one of the best phones I had. 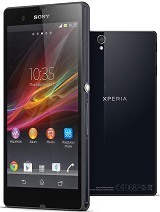 Total of 2864 user reviews and opinions for Sony Ericsson W200.